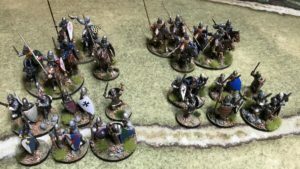 I just finished up 24 Norman foot for my Lion Rampant army. These are put out by Old Glory. I painted them for my Lion Rampant army. 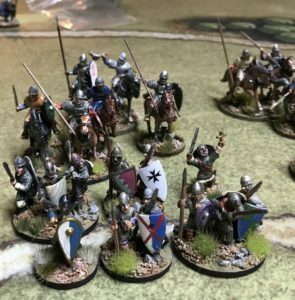 I base these using the new basing scheme that Lion rampant uses and you will see this when you look at the pictures. 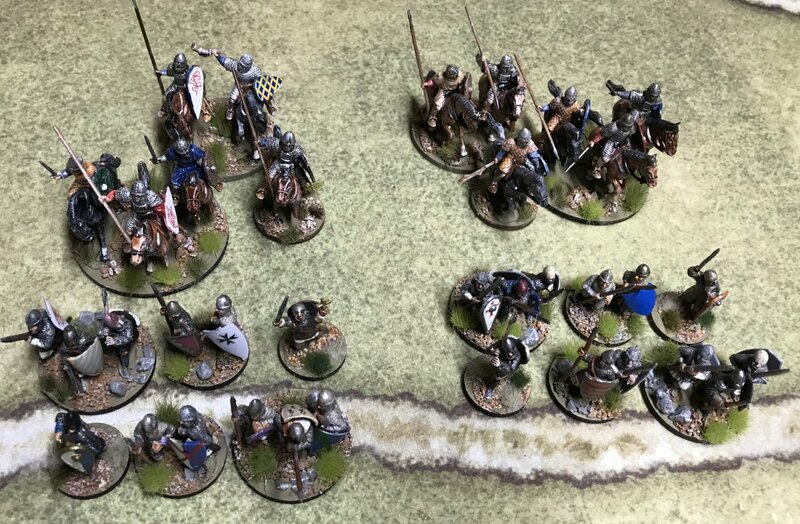 I have decided to adopt this basing method for my Light Bobs troops and I can press my Lion rampant troops into my Day of Battle armies when needed. 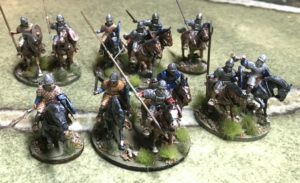 I just finished up 12 Norman knights and sergeants. 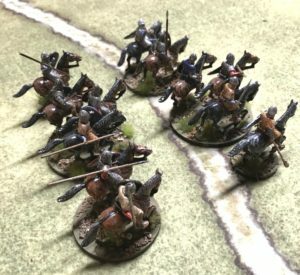 These are put out by Conquest Games. 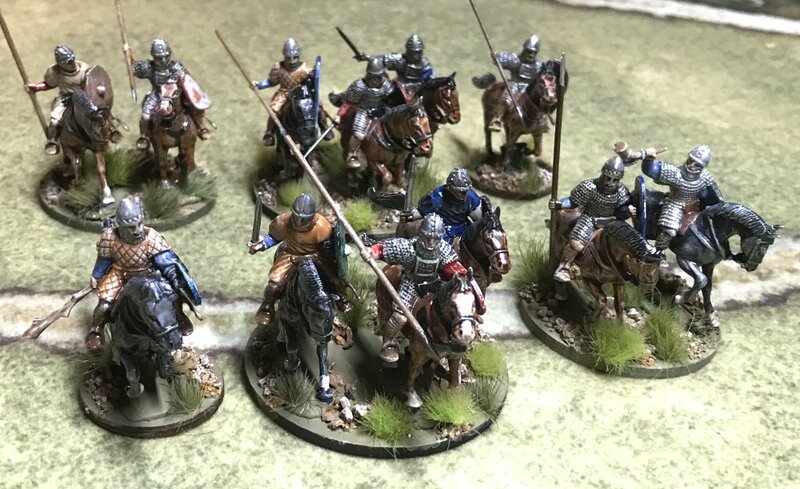 This package comes with 15 mounted knights. This isn’t a formal review but I had pro’s and con’s regarding this set. First off it is nice getting 15 knights for the cost of 12 as in other sets. Once opening the box though I discovered one of the miniatures is a casualty. Now I don’t know about you but I don’t really have a need for a lot of cavalry casualties on my table top. Also 14 miniatures don’t fit in my army O.O.B. and I doubt if they will for any others. I think most gamers use their miniatures in groups of 6 or at least divided into 3’s. Also I didn’t like the saddles. They were part of the rider and very poorly molded into his lower body, with very poor detail. I did like how they assembled. 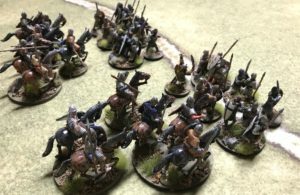 The horse was part of the body so no seam there when assembling. The figures themselves are very nice and though I have a few things I mentioned above I would still buy these. 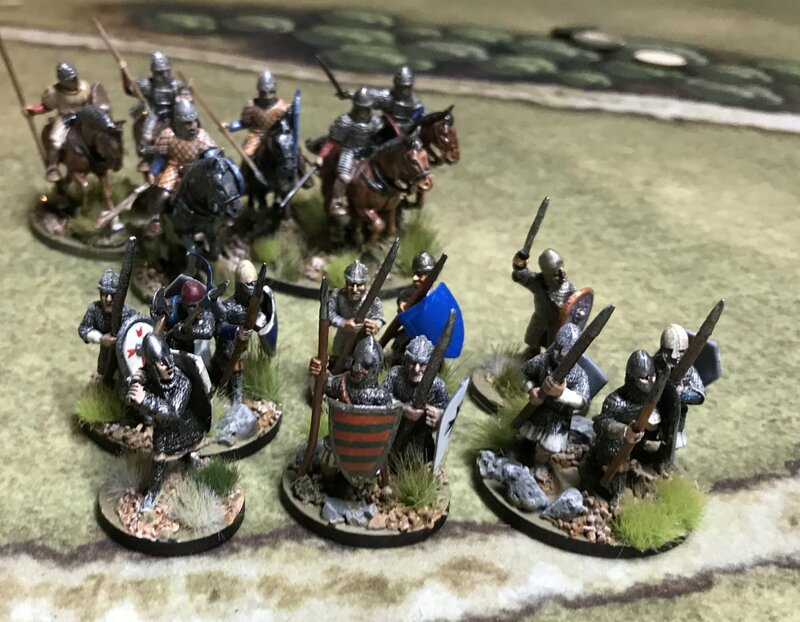 This purchase was destined for my Day of Battle armies but once I painted them i decided to march them off to my Lion Rampant army. I base these using the new basing scheme that Lion rampant uses and you will see this when you look at the pictures. 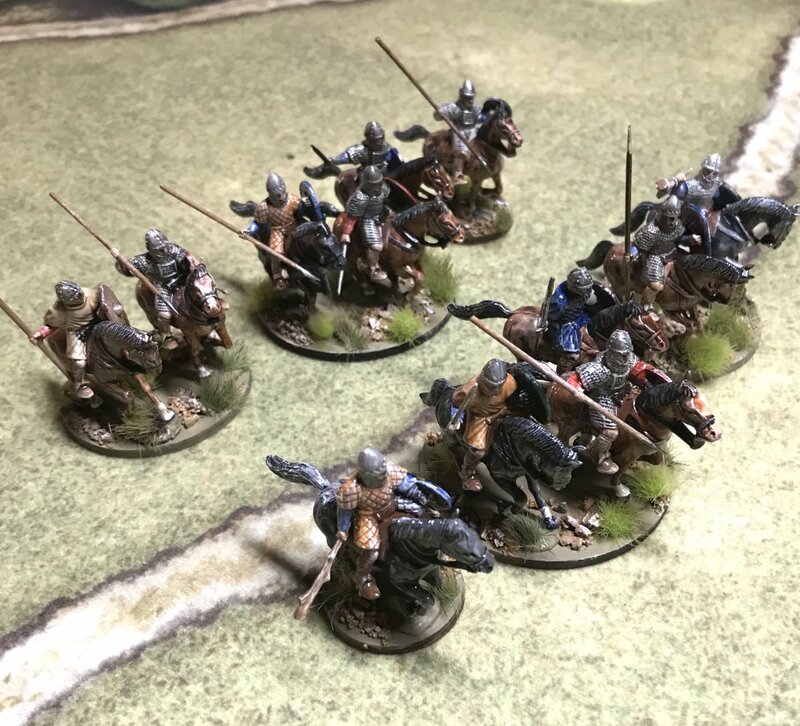 I have decided to adopt this basing method for my Light Bobs troops and I can press my Lion rampant troops into my Day of Battle armies when needed.